As an International Baccalaureate (IB) World School, Léman is committed to preparing students to be confident, critical thinkers. The IB is an academically challenging, in-depth, creative curriculum that prepares students for success in university life and beyond. 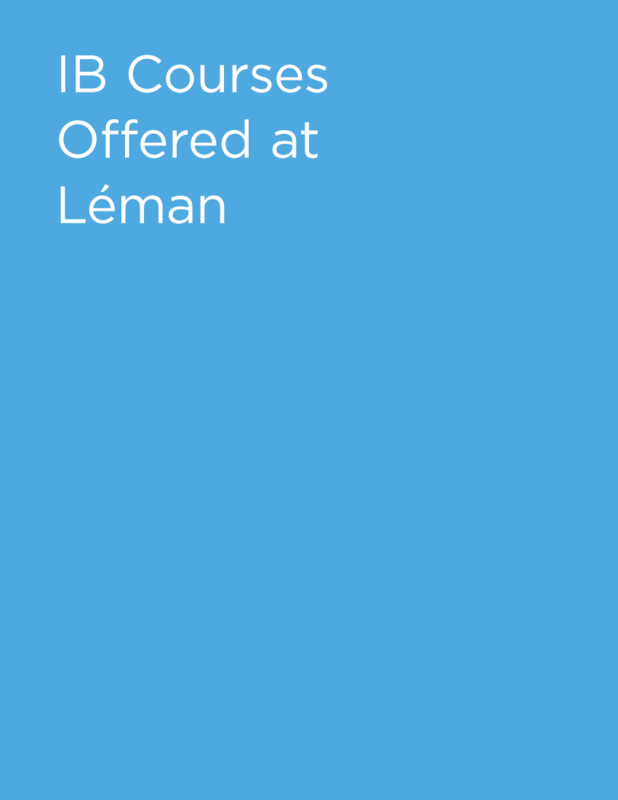 The IB approaches to teaching and learning are integrated throughout Léman's academic program starting in early childhood and culminate with the IB Diploma Programme in 11th and 12th grade. For more information including a current list of Universities that recognize the IB Diploma, please visit ibo.org. • Nationally and internationally recognized by top colleges and universities. • Considered the gold standard in college preparatory curriculum. • IB diploma students are more than 20% more likely to be admitted to the most prestigious universities in the U.S., including Harvard, Yale, Princeton, Columbia, Duke and Stanford. • Ability to earn college credits. • Challenging, in-depth, creative curriculum with service-oriented activities. • IB students are better able than their peers to cope with demanding workloads, manage their time and meet the expectations placed on them. "There is no other curriculum anywhere that does a superior job of both educating students and inspiring a true and broad-based love of learning." "Send us prepared students a la IB. It is the best high school prep curriculum an American scholar can offer." The International Baccalaureate is a long-established, globally-recognized program of study, which is celebrating its 50th anniversary in 2018. 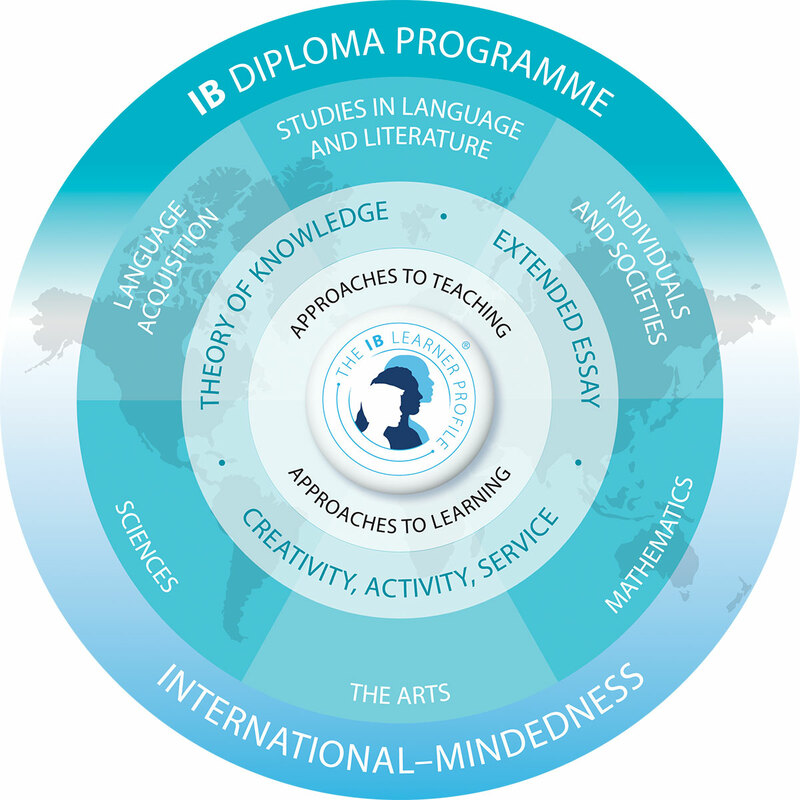 The IB Diploma Programme is a two-year, full-time, academically challenging and balanced programme of education that prepares students aged 16 to 19 for success at university and life beyond. It has been designed to address the intellectual, social, emotional and physical well-being of students. The programme has gained recognition and respect from the world's leading universities. 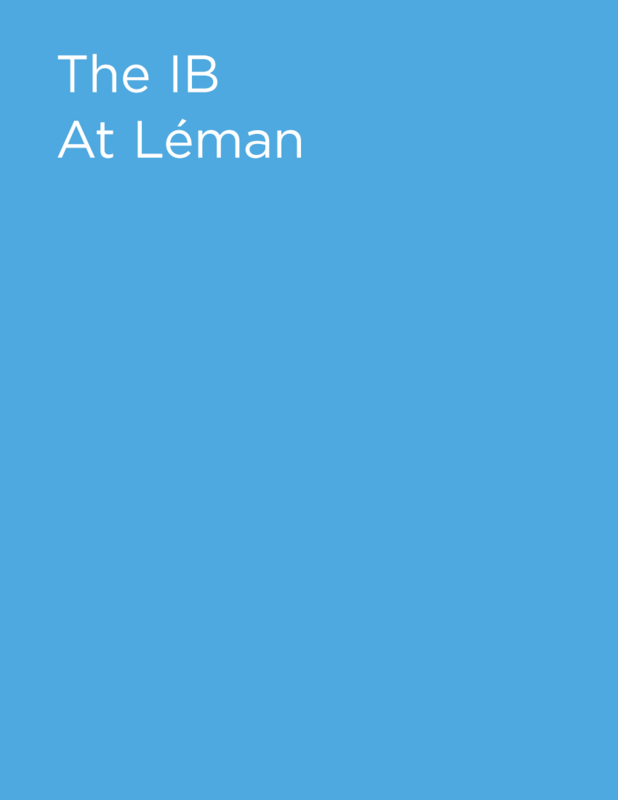 As an ongoing school serving children across 17 grades, the IB philosophy of teaching and learning is incorporated throughout each student's educational journey at Léman. 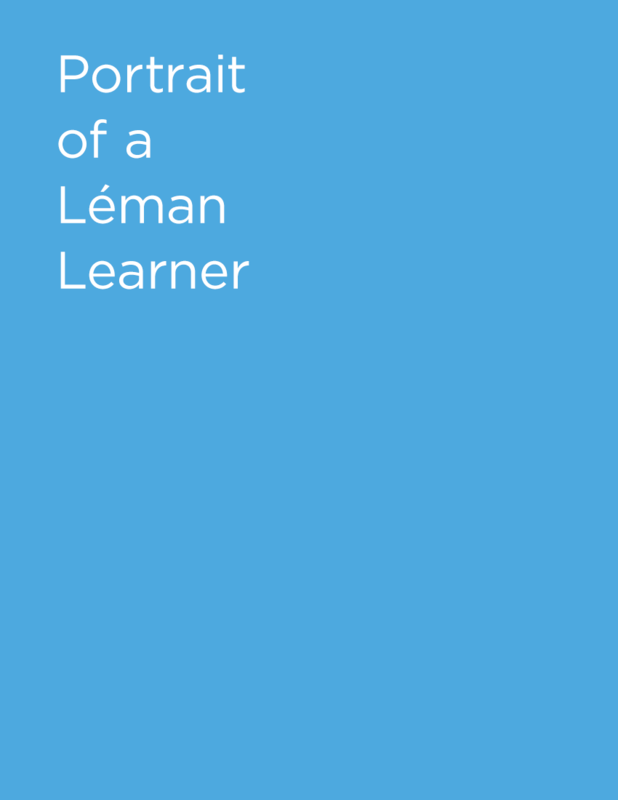 Léman students graduate as principled critical thinkers, compassionate and caring collaborators, and global citizens with a sense of purpose and commitment to fostering greater cultural understanding in the world. Students at Léman have the choice of either pursuing the full IB Diploma Programme or individual IB Course Certificates. IB Diploma candidates take six subjects, three at Higher Level (HL) and three at Standard Level (SL), and complete three additional core components of Theory of Knowledge, CAS and an Extended Essay. In addition to disciplinary and interdisciplinary study, the Diploma Programme features three core elements that broaden students' educational experience and challenge them to apply their knowledge and skills. 1. The extended essay (4,000 words) asks students to engage in independent research through an in-depth study of a question relating to one of the DP subjects they are studying. The world studies extended essay option allows students to focus on a topic of global significance that they examine through the lens of at least two DP subjects. 2. Theory of knowledge develops a coherent approach to learning that unifies the academic disciplines. In this course on critical thinking, students inquire into the nature of knowing and deepen their understanding of knowledge as a human construction. 3. Creativity, Activity, Service (CAS) involves students in a range of activities alongside their academic studies throughout the Diploma Programme. Creativity encourages students to engage in the arts and creative thinking. Action seeks to develop a healthy lifestyle through physical activity. Service with the community offers a vehicle for new learning with academic value. The three strands of CAS enhance students' personal and interpersonal development through experiential learning and enable journeys of self-discovery.